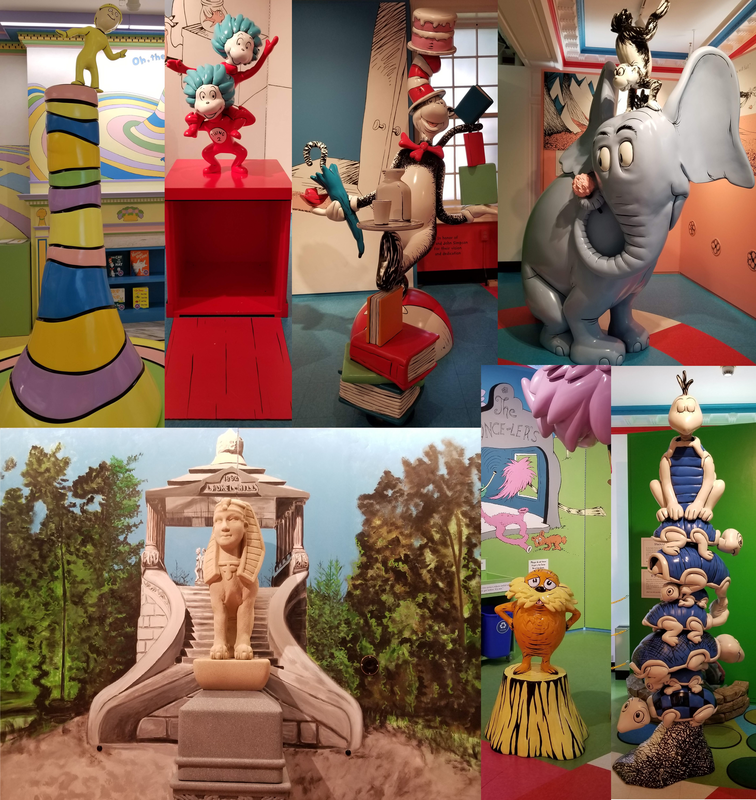 The fifth museum at the Springfield Museums is the Dr. Seuss Museum, and it may be the centerpiece of it all, as they all surround the National Memorial Sculpture Garden. 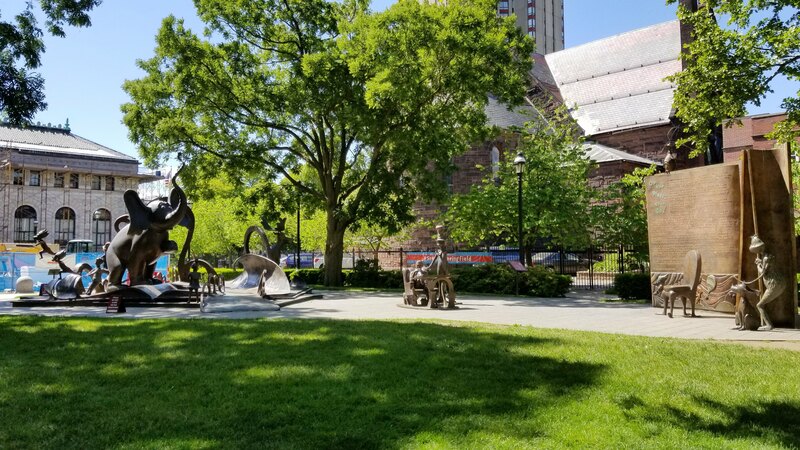 In case you missed them, the first four were the Science Museum, the Springfield History Museum, the George Walter Vincent Smith Art Museum, and the Michele and Donald D’Amour Museum of Fine Arts. Let’s split this into two parts, the Museum and the Garden. This museum is great for kids and super cool for adults. The ground floor is meant for kids, as they have characters from all sorts of Seuss books, from Horton to The Cat in the Hat, and Yertle the Turtle to Things 1 & 2. 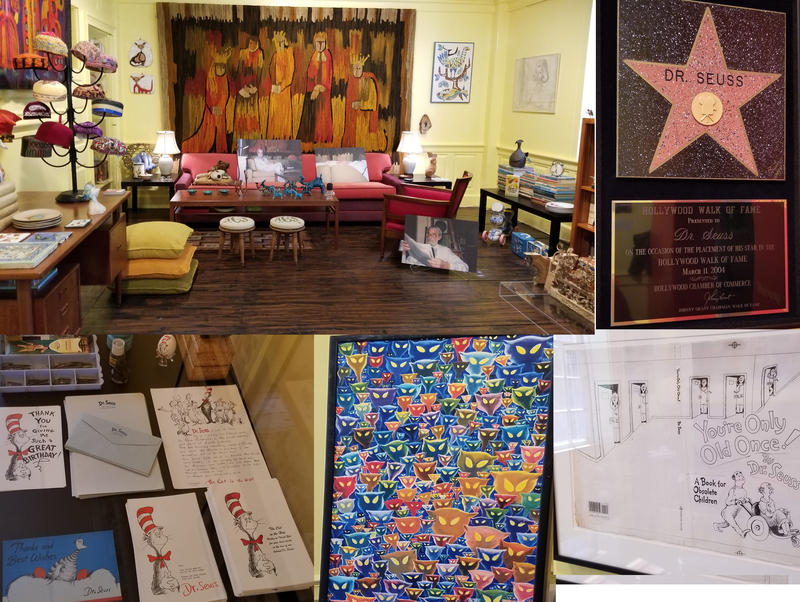 When you head upstairs you get to experience the life of Theodor Seuss Geisel. They have his study and desk, as well as sketches that he made, and a family tree. Other things include his stuffed animal, which he kept with him his whole life, and his Hollywood Walk of Fame Star. They also have notes and cards that he sent to relatives for birthdays and other occasions. This is a fun place to relive your youth and discover new Seussian adventures, as I did with the book “You’re Only Old Once”, which turned out to be an adult book for those visiting the Doctors and popping pills. 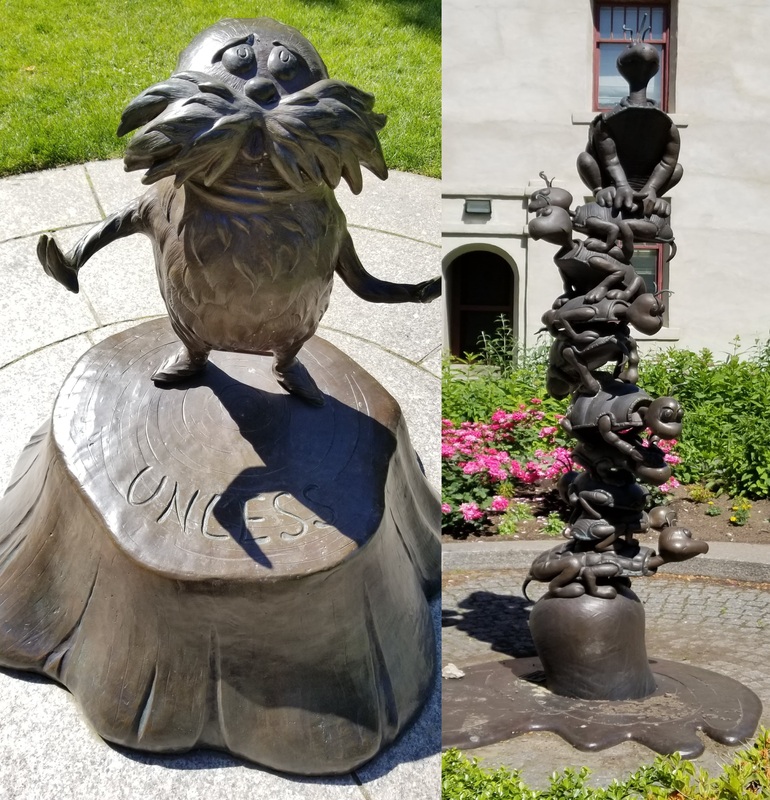 In the middle of this grouping of museums is a nice lawn, dotted with sculptures of all sizes to commemorate Dr. Seuss. A tall Yertle statue to a tiny little Lorax are the side notes to the two larger pieces. Horton Court includes Horton and a bunch of other smaller creatures, all next to “The Storyteller”, which has Dr. Seuss and The Cat in the Hat sitting there writing a book, and a giant copy of “Oh The Places You’ll Go”.